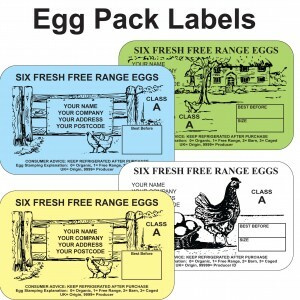 Our Egg Box Labels are specifically designed to fit most commercially available egg boxes. 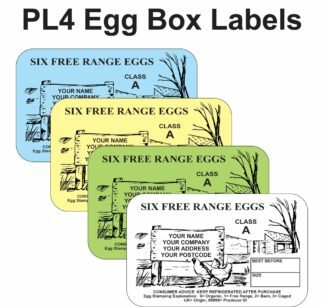 We manufacture egg box labels for half dozen boxes but can make any shape or size label you need. 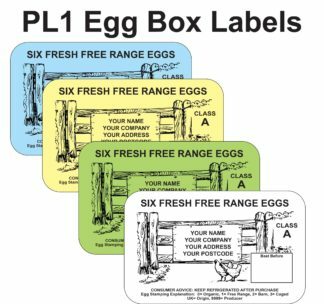 For different sized egg box labels, call Natalie on 01332 865933 or fill in a contact form by clicking here. 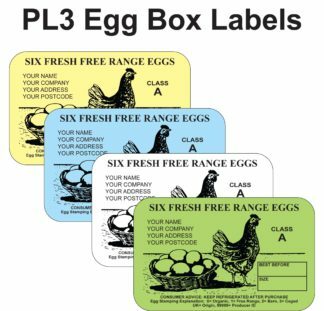 We supply egg box labels come in a range of standard designs. 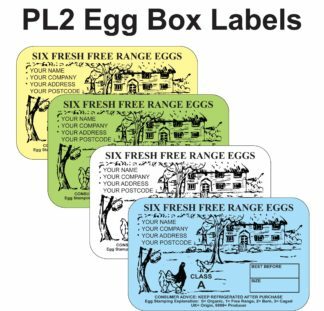 All egg box labels are tailored to your specific needs and you can input specific data when you order. To meet regulations, producers with more than 50 bird flocks need to include a packing station number and producer ID. These are supplied free of charge once you have registered with the Animal and Plant Health Agency. Producers with flocks of less than 50 birds need not add any specific data (if your activities meet the APHA guidelines). Our standard designs let you choose from a selection of titles. You are free to alter this to any personalised title you choose. We will print your labels from a selection of colours on a range of paper colours. These options are available when you prepare your order. 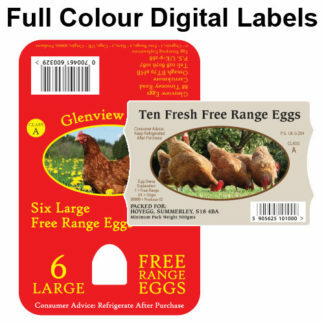 We have a range of rustic images to include on your label and you are free to have alternatives like duck eggs or goose egg designs if that is suitable. 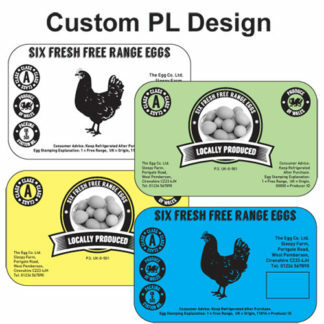 Consumer Advice statements are included on all our labels: Keep refrigerated after purchase, along with the option for the egg stamping explanation. Again, these are options for you to choose during the order process. If you are in any doubt, just call Natalie on 01332 865933 during office hours and she will gladly help you complete your order.